There may be situations, maybe when you’re cleaning an empty building or any empty part of a building, when you need to think about water supply. Maybe it’s at the end of a tenancy or a pre-letting clean-up or just an every-so-often check and clean, and it could be a flat or office suite in a larger mixed use building or a separate area altogether. 1. Check if the water supply is turned off OK. This is looking at things purely from the owner’s perspective, as it can save any bursts suddenly happening, particularly in the colder winter, and actually be a requirement on their insurance policy. From a cleaning perspective, it’s often worth keeping on, but that should not stop you telling the client and them then deciding. So with water on, we obviously have a supply of water which can be used for cleaning, plus we can actually use toilet facilities if needs be with full flushing potential now. It can also stop nasty smells coming back up the drain and toilet systems, if there is still water in there. 2. Check if the water heating is on. So a classic example is some of the small electric water heaters you see in a small kitchen, which may have been kept switched on. If they suddenly blow, and no one notices if the unit is empty, then you will have full mains supply water suddenly gushing in everywhere. It may be worth the client simply switching off in order to keep safe, although from a cleaning perspective it will be helpful to still have on in order to have hot water supply rather than just cold. An easy alternative though is to simply have and boil kettle for hot water. 3. Check that there are no leaks anywhere. We came across a scenario at an office recently where a seal had gone in a toilet pipe which meant it has been slowly trickling water into the toilet basin for months and months. 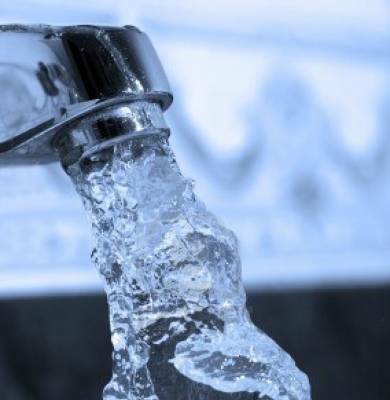 Because this water supply was metred and therefore the client pays the water bill based upon what water is actually used, then they have received a bill of several hundred pounds more that usual simply because this has been slowly wasting water 24/7. For more tips and tricks, contact Easy Cleaners Birmingham.